Macbeth is the first production from Black Theatre Live, a pioneering consortium of 8 regional theatres committed to increasing the amount of Black and Ethnic Minority theatre on the touring circuit. 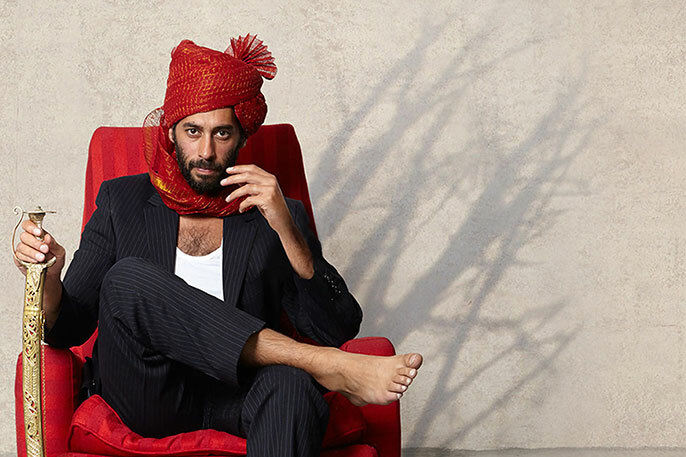 Spun together with a blend of Indian music and movement, this brand new production from one of the UK’s leading cross-cultural theatre companies sees Shakespeare’s tragedy reimagined in a contemporary context, as a brew of treachery and ambition sets an Asian family on a road to destruction. The production sees the engineers of Macbeth’s downfall depicted as three Hijras. A strand of Indian society little-known in the west, Hijras are a centuries-old “third gender” community (including transsexuals, transgender people, eunuchs and cross-dressers).